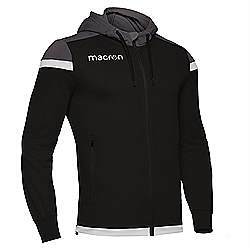 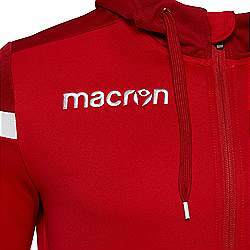 One of the largest range of Macron tracksuits on offer with some of the best prices available you are sure to find a garment you require at the right price & size if you dont see what you looking for please contact us. Niagara full zip track jacket has adjustable drawstring at the bottom for extra comfort fit. 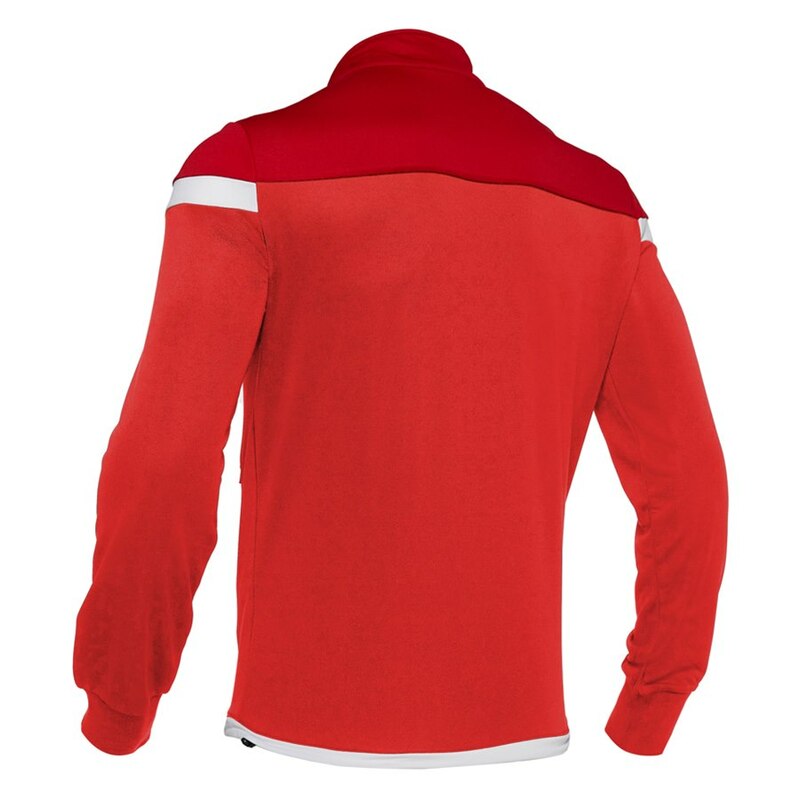 Hard wearing rib stop polyester fabric, cuffed sleeves. 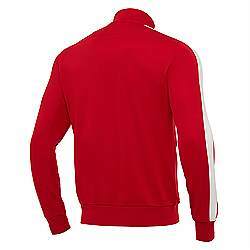 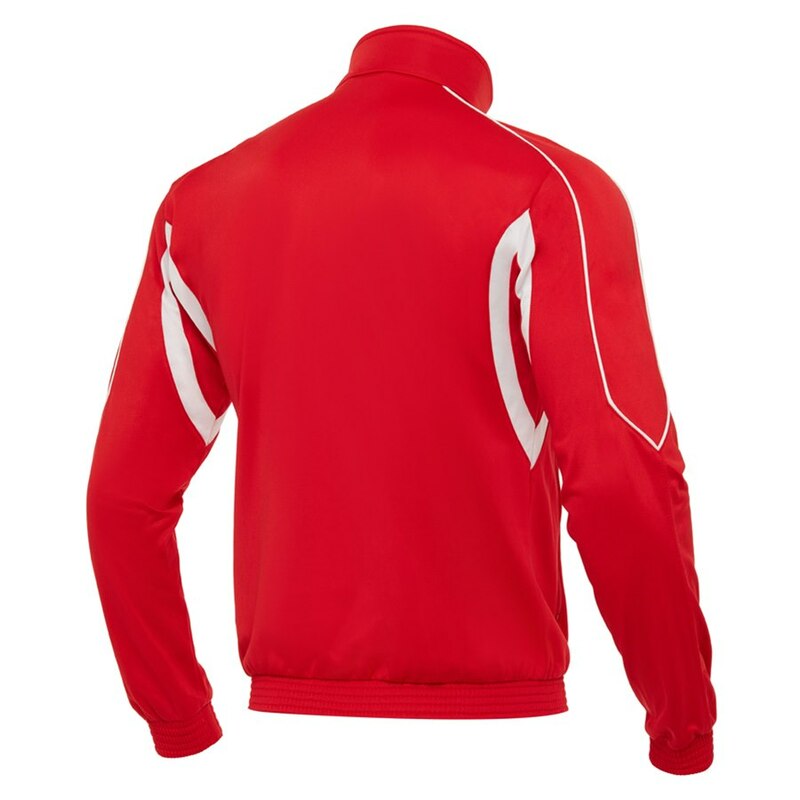 It comes in a wide range of colours with added piping on the shoulders in a contrasting colour a very good track jacket at a fantastic price. 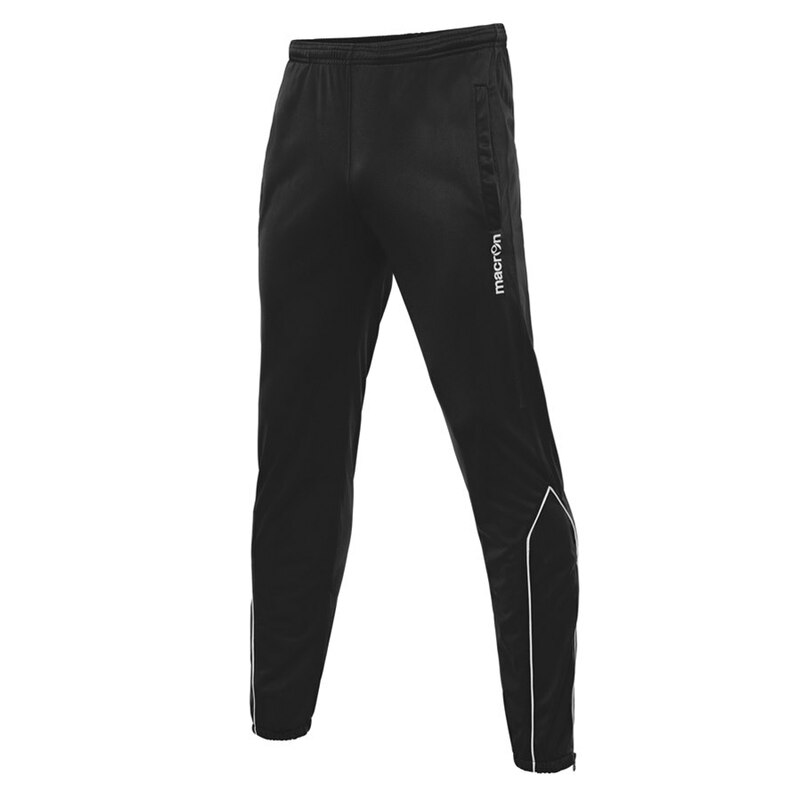 The Niagara pants, made of durable fabric, are both comfortable and practical. 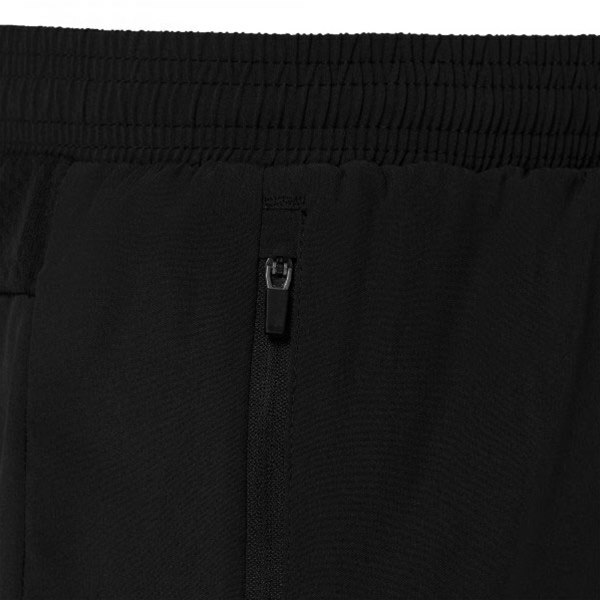 The flat drawstring designed for extra comfort when fastening the pants at the waist ensures they don’t fall down or hinder the athlete’s movements. 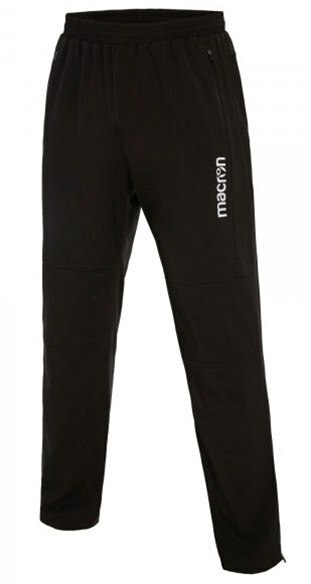 They also come with 2 side pockets and the bottoms of the legs are elasticated. 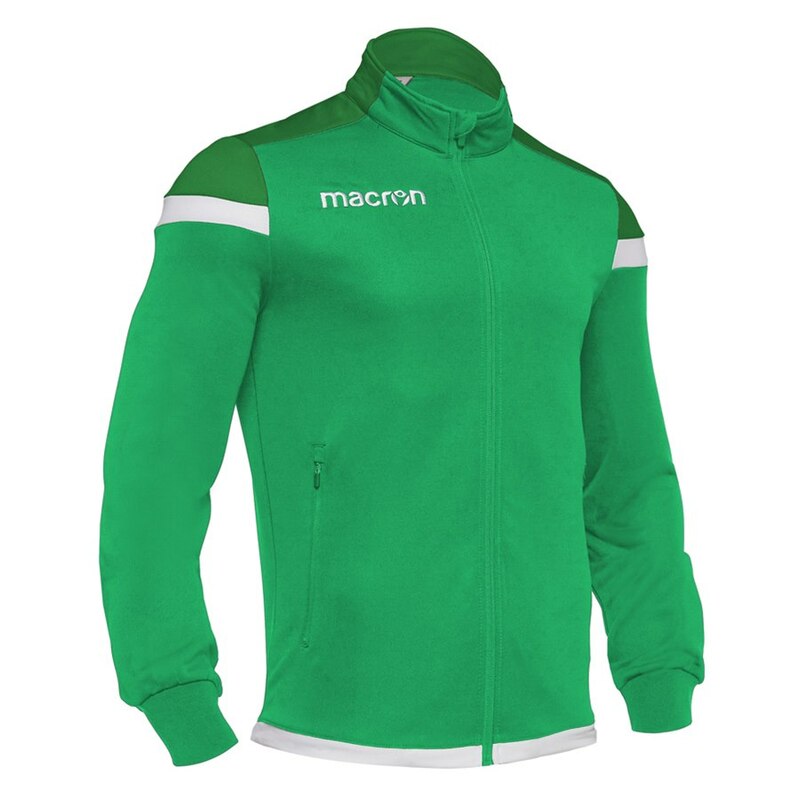 A hard wearining sweat top and long shorts that are both brushed inside ideal for the cold weather training sessions made from polyester available in junior and adults sizes suitable for printing and embroidery. The Horus pants will match this jackets. 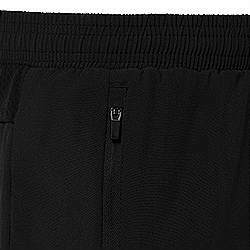 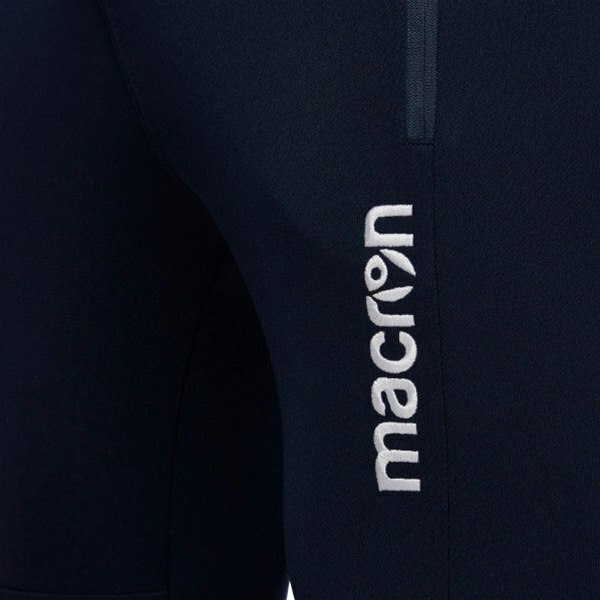 Macron Horus pants is a hard wearing practical track pant with 2 side zip pockets for storage. Elasticated hems with adjustable hem zips for a custom fit and easy change. A slim fit training pants with 2 side pockets. Ankle zips allow you to pull them on or off over boots a value for money garment and Lycra wristbands give this garment added comfort. A new track jacket for this season Macron OPI is the top of the range product with added style, available in 7 colours Slim fit is wider at the body, with a straight silhouette Stand-up collar sleeves with contrast panel with elastic cuffs Front zip pockets. 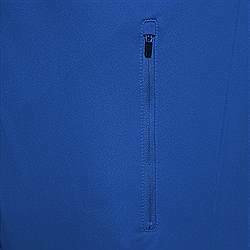 Full front zip in a contrast colour any of the pants on this page will match this jacket. The Nepri trousers are bold and trendy and are packed with high-tech features. 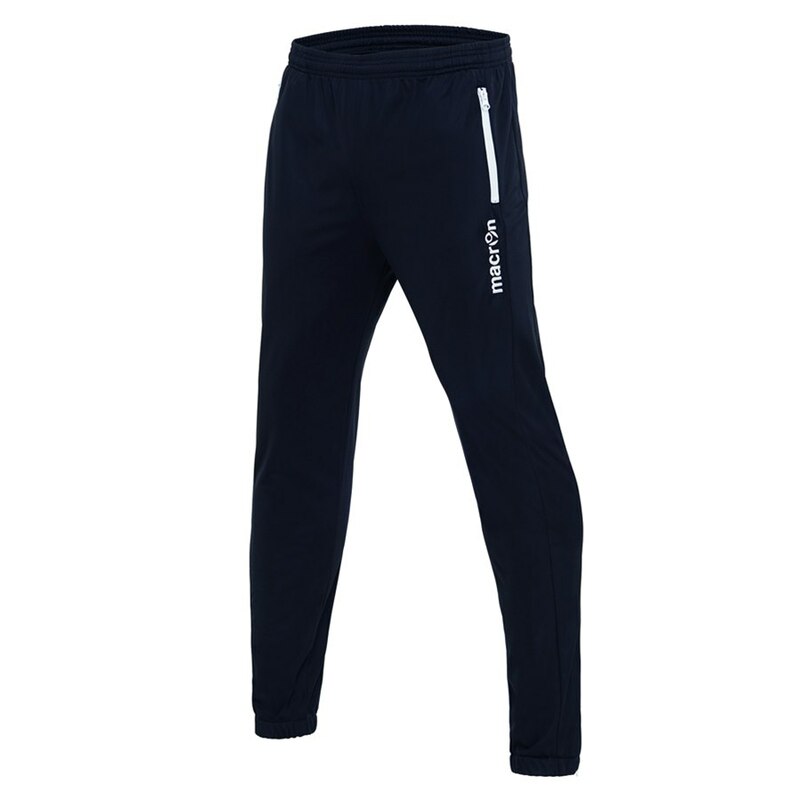 The trousers feature two convenient zipped side pockets with auto-lock slider, flat drawstring fastening, and a convenient rear pocked with reversed zip on the hems. 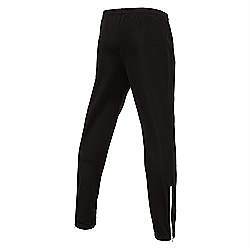 The trousers are both lightweight and hard-wearing, and suitable for high-intensity training. 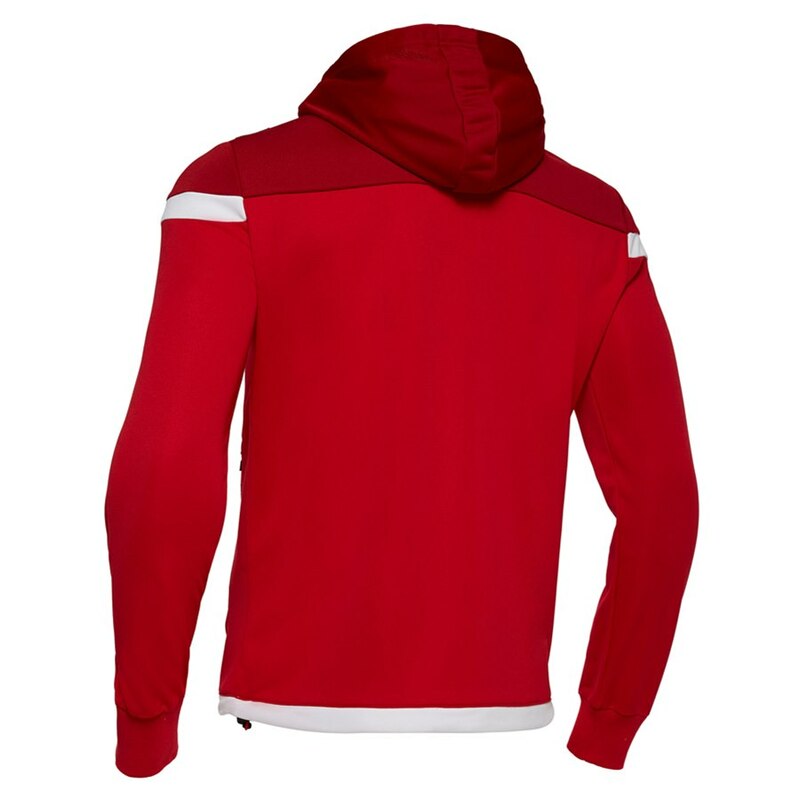 Slim fit POLYDIAGONAL: This fabric combines the hot hand grinding process with a diagonal feature that bestows high elasticity to the fabric. The fabric was expressly studied for training garments giving a comfortable fitting in every situation. The Sobek track jacket has a clean sleek design and is packed with practical features, making it an extremely high-tech garment with a full-length central zip, zipped pockets with auto-lock slider, half moon and inner save neck. 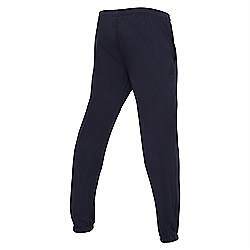 Elegant ribbed cuffs and hem with drawstring fastening complete the look. 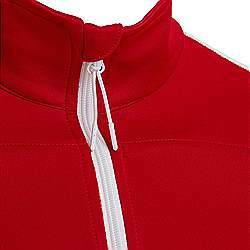 Do you want a tip on how to best use the drawstring fastening? 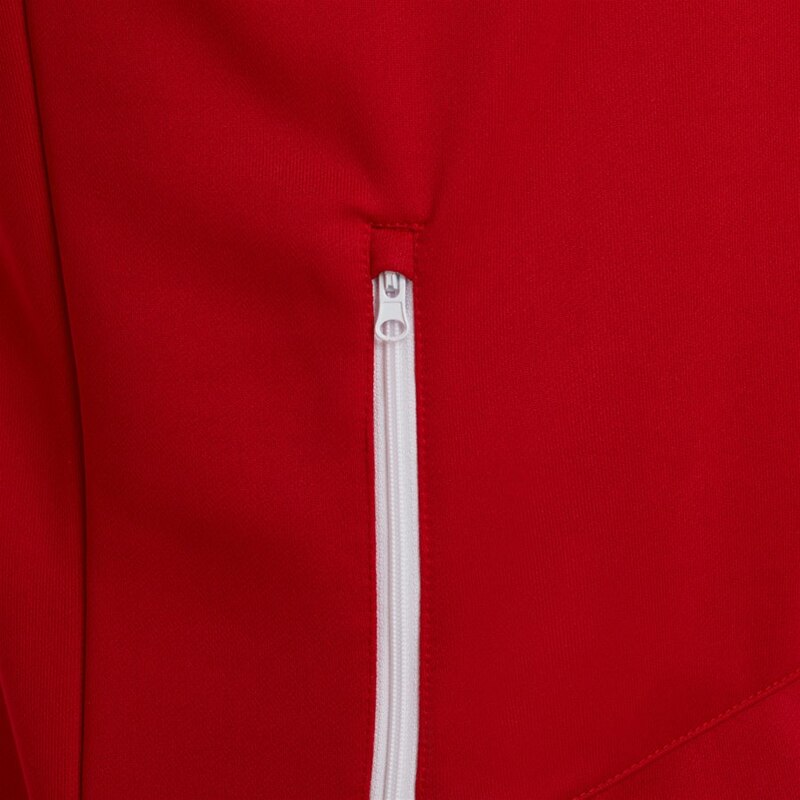 Make it tight so that the opening on the hem stops the cold air from getting in. 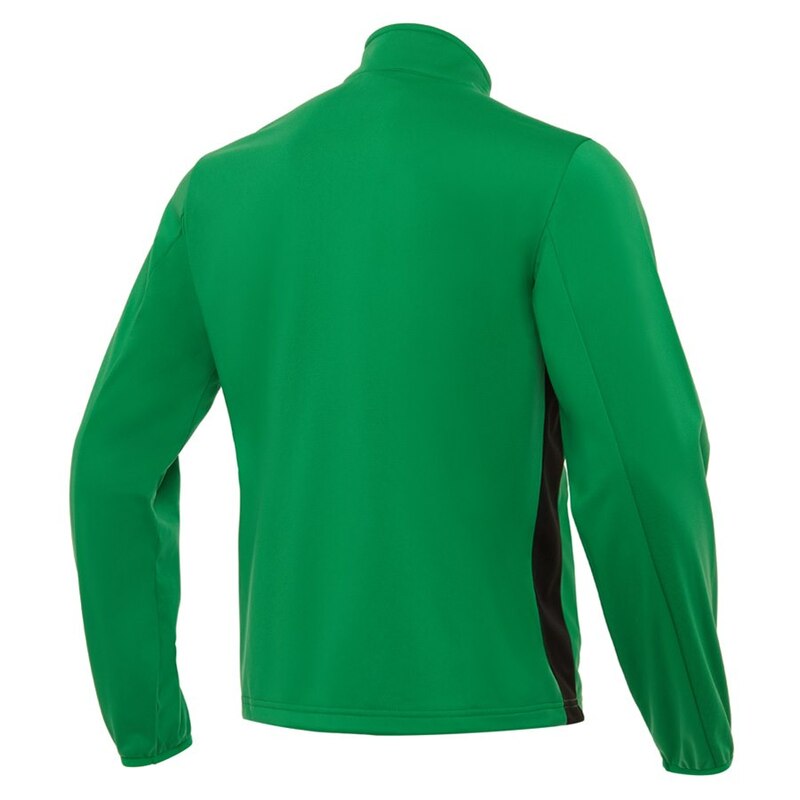 Sobek comes in a wide range of colours to satisfy every requirement. Slim fit POLYDIAGONAL: This fabric combines the hot hand grinding process with a diagonal feature that bestows high elasticity to the fabric. 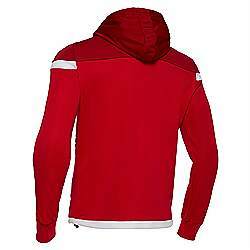 The fabric was expressly studied for training garments giving a comfortable fitting in every situation. 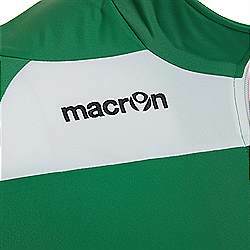 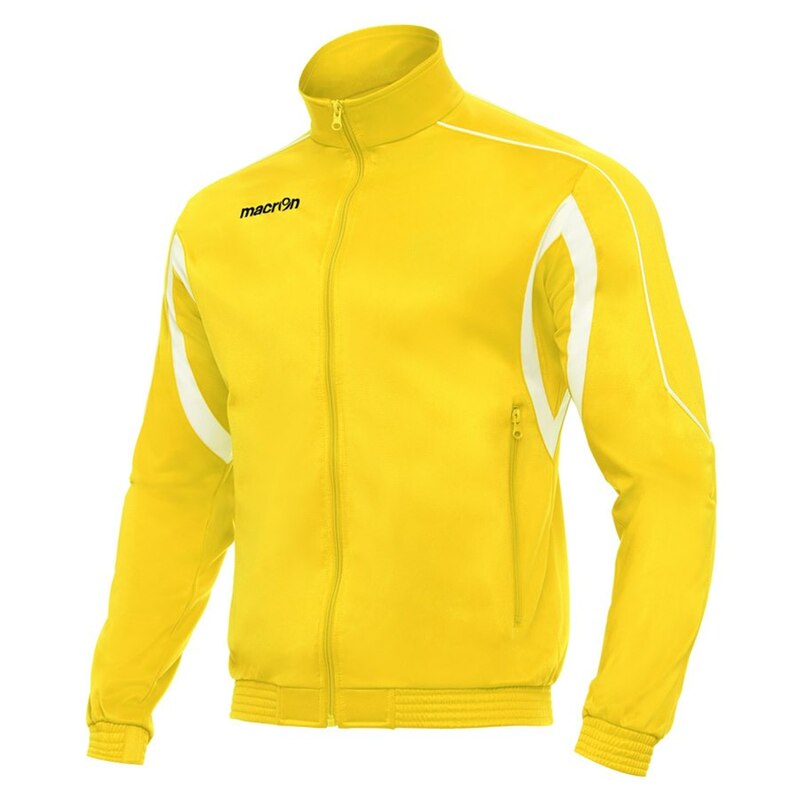 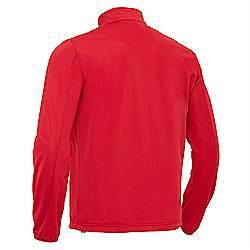 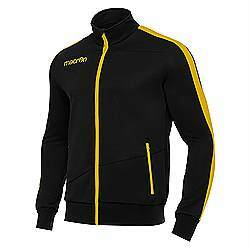 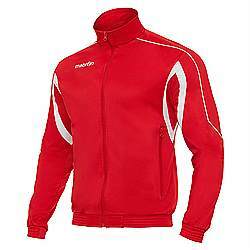 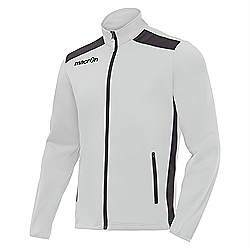 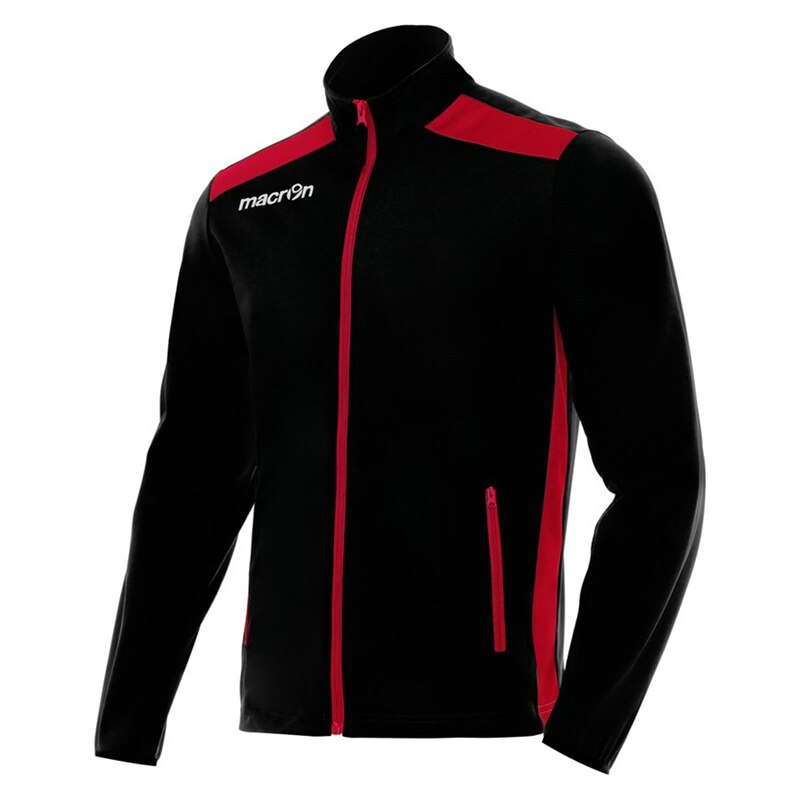 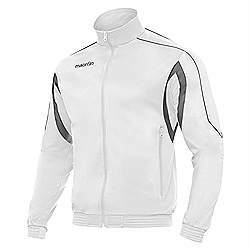 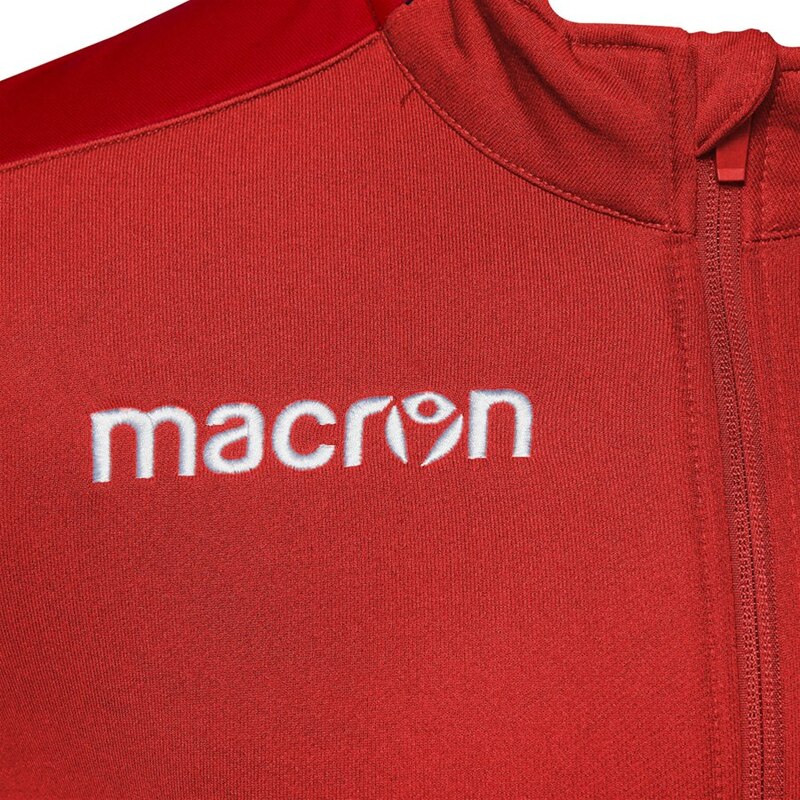 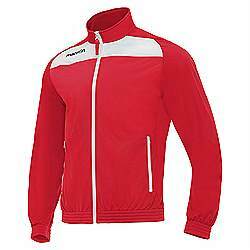 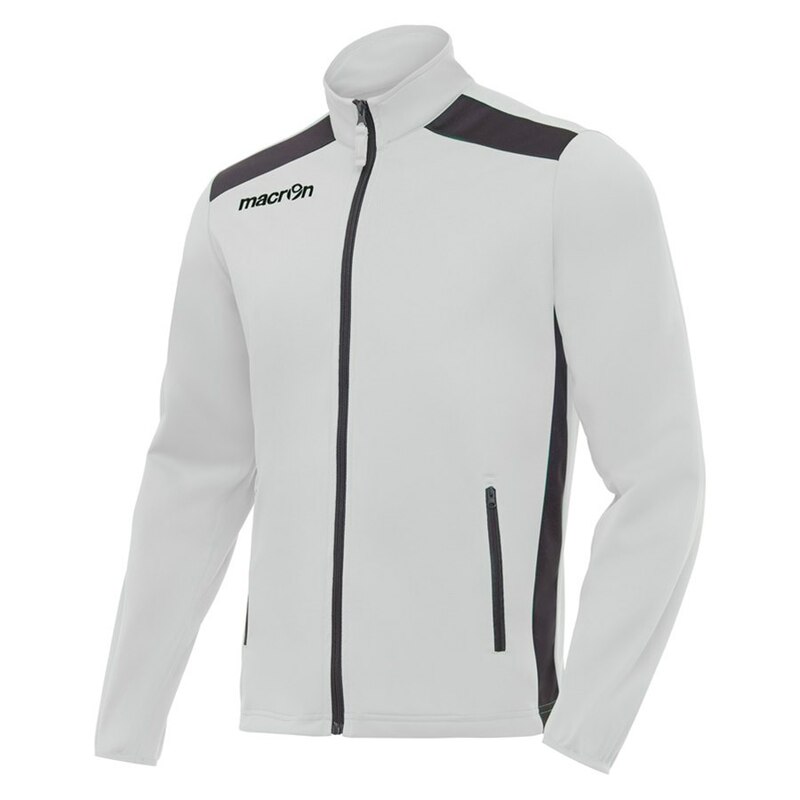 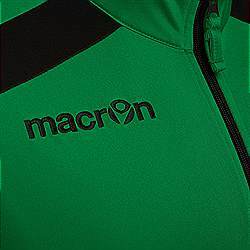 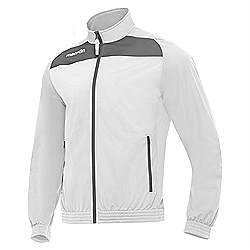 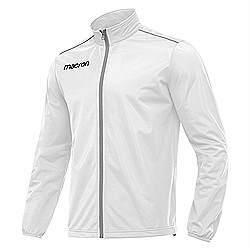 Macron Era Track jacket is a core product in the Macron teamwear range. 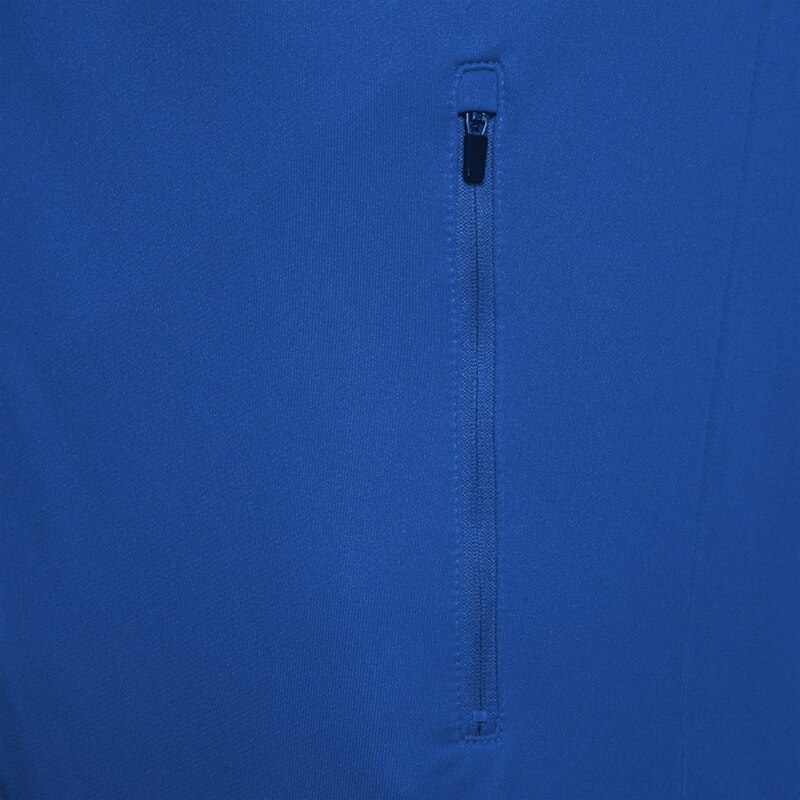 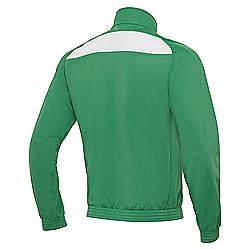 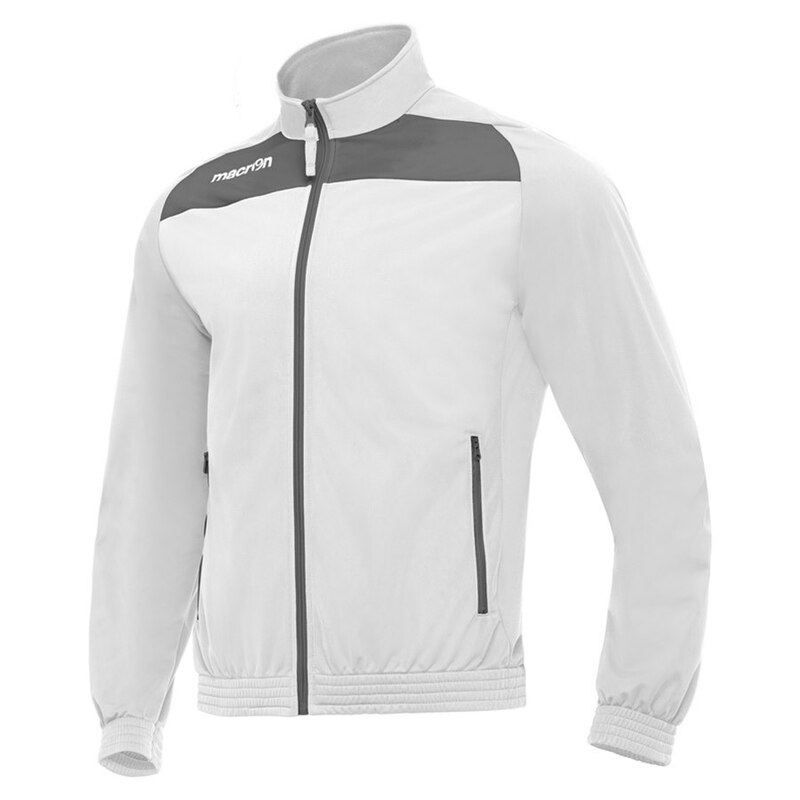 Polyester track full zip jacket has 2 side pockets with cuff hem a contrast collar and zip the jacket can be matched with the Era pants or the Horus pants a good value for money product suitable for printing and embroidery. Macron Era pants with match the above jackets available in 5 colours with 2 pockets zipped ankles drawcord waistband. 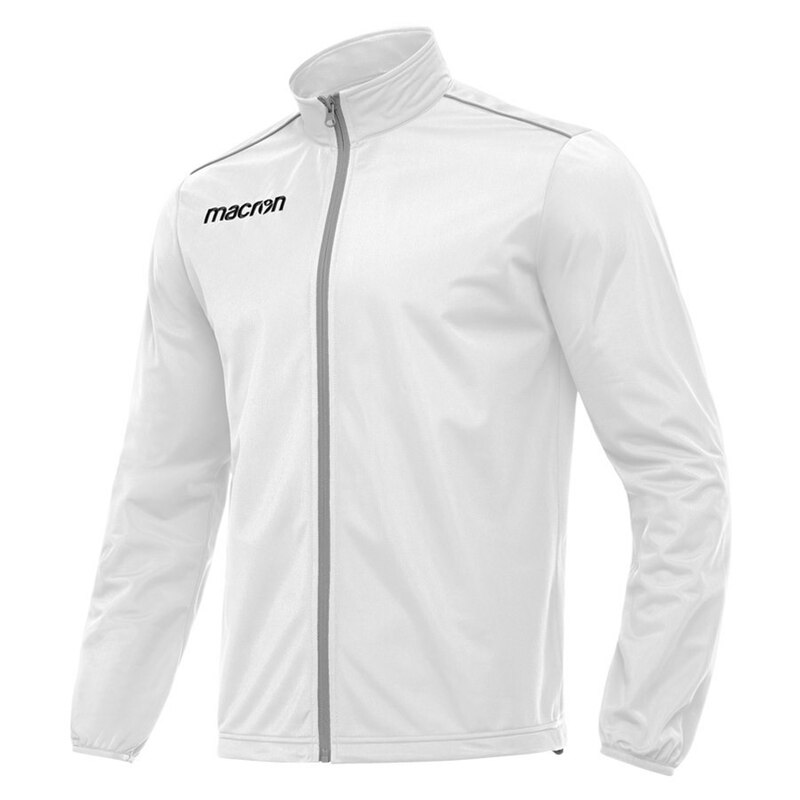 The Eadesy Hooded track jacket has a clean sleek design and is packed with practical features, making it an extremely high-tech garment features a full-length central zip, a hood, zipped pockets with auto-lock slider, half moon and inner save neck. 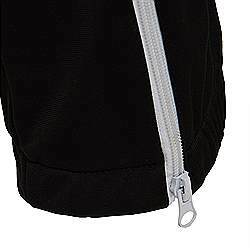 Elegant ribbed cuffs and hem with drawstring fastening complete the look. 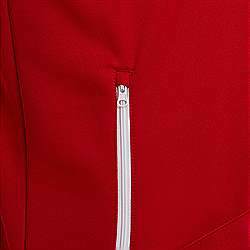 The drawstring fastening at bottom hem can be tightened so that the opening on the hem stops the cold air from getting in. Eadesy comes in a wide range of colours to satisfy every requirement. 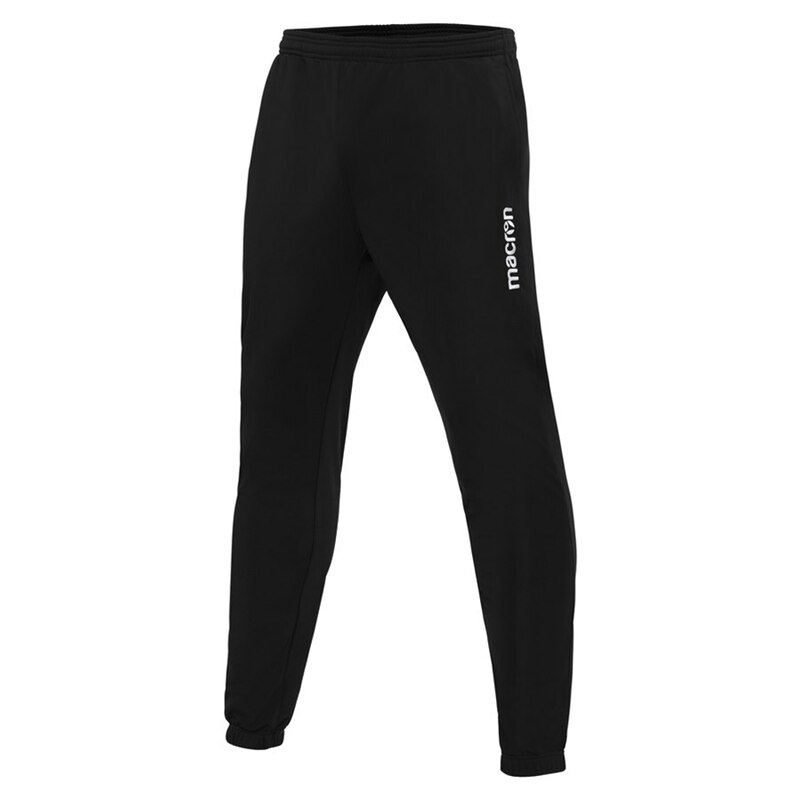 The Dacite pants are a universal track pants ideal for the martial arts market that want a pair of trousers to wear over their tournament uniforms. 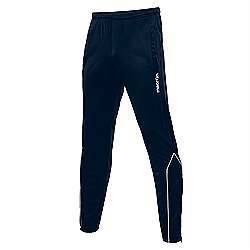 The trousers have been designed to guarantee you comfort and resistance to tears in all situations. 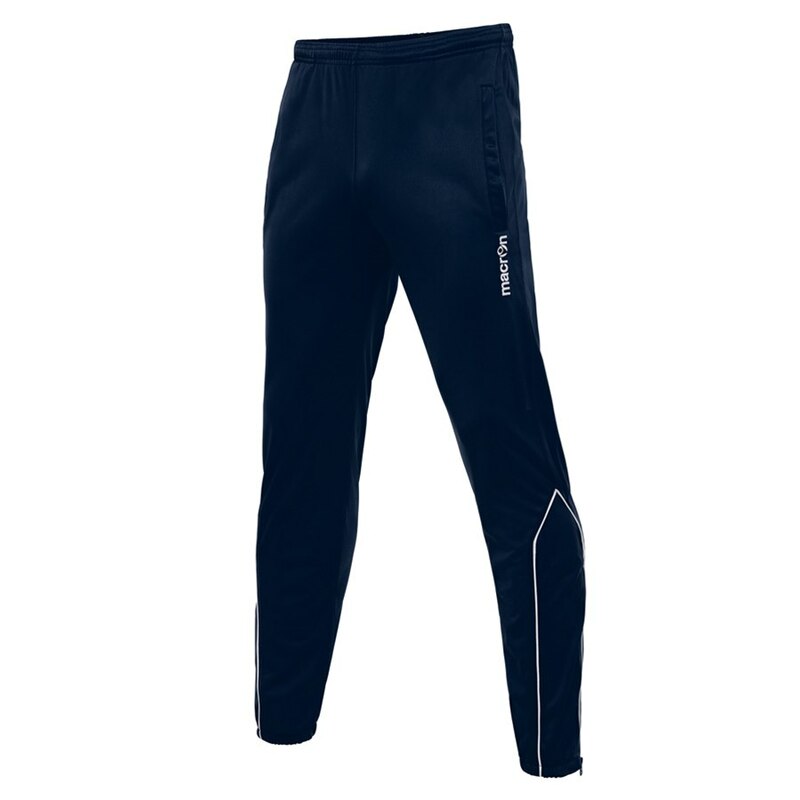 Made of microfibre stretch fabric, these trousers are packed with practical features such as the side pockets in nylon with exposed zip and auto-lock slider, the flat front drawstring fastening, the zip at the bottom of the leg and the micro mesh inserts. The best feature of these trousers are the inserts in stretch fabric placed in areas, such as the knees, that are subjected to more strain. This is a simple solution to ensure ample freedom of movement, while at the same time keeping the trousers intact.